In addition to shock and grief, fear gripped Americans in the hours and days after the World Trade Center and Pentagon were attacked by al-Qaida terrorists in hijacked airliners. The next attack seemed imminent and of even more horrifying magnitude. Ten years later, American officials can barely contain their confidence that a sustained program of drone attacks, arrests and the May 2 killing of Osama bin Laden may have knocked al-Qaida down for the count. "We can take great pride that since 9/11 we have achieved very significant success in going after al-Qaida, in going after al-Qaida's leadership," Defense Secretary Leon Panetta said Tuesday after visiting the new 9/11 memorial at Ground Zero. Some of that enthusiasm has been checked with reports of a credible, but unconfirmed plot involving three suspects hoping to set off bombs in Washington or New York on the 10th anniversary of the 9/11 attacks. But last weekend's arrest in Pakistan of top operative Younis al Mauritani, as he reportedly plotted attacks on American economic interests, including oil pipelines, is considered to be yet another major blow to the terrorist organization. Days earlier, a drone strike killed the latest in a series of No. 2 al-Qaida leaders. Before reports of the new plot surfaced, White House talking points advised government officials to "minimize references to Al Qaeda" in comments surrounding the 10th anniversary of the 9/11 attacks. Weakened militarily and ignored in the mostly peaceful Arab Spring revolutions, the organization, they say, is becoming irrelevant. That's not just politicians bantering. Concern over a new potential plot notwithstanding, Bin Laden's death, and additional gains made since, offers "the prospect of a strategic defeat, if you will, a strategic dismantling, of al-Qa'ida," Gen. David Petraeus said in July, when he was head of American forces in Afghanistan. "If they're worrying about their security ... they're going to have less time to plot and plan," White House terrorism advisor John Brennan said earlier this month. "They're going to be constantly looking over their shoulder or up in the air or wherever, and it really has disrupted their operational cadence and ability to carry out attacks." Sadly, al-Qaeda's murderous ideology remains alive and well, inspiring a series of "lone wolf" jihadists who to carry out seek mass killings on their own, and through a growing number of al-Qaeda offshoots, or franchises. "We have definitely weakened Al Qaida," U.S. Sen. Joe Lieberman, I-Conn., told CNN last weekend. "But I think it's very important for us to understand that the enemy that we face in this war on terrorism is not a particular group, Al Qaida. It is an ideology, a violent ideology of what I call Islamist extremism," said Lieberman. "And it appears in a lot of different names, in a lot of different places, and sometimes through lone wolves here in the United States. And that's why, unfortunately, this particular unconventional war is going to go on for a while." Thus far, aggressive steps by law enforcement officials have interdicted budding terrorist plots, largely through the use of sting operations. Though Islamist organizations and others cry entrapment, the sting approach has stopped a number of people willing to push the button to detonate explosives in hopes of creating mass casualties. Many have admitted their guilt. The United States has seen a spate of potential lone wolf attacks, many influenced by al-Qaida propaganda, starting in 2009. Some were thwarted by law enforcement sting operations, while others were uncomfortably close to killing innocent Americans. Two of those plots claimed American lives. Army psychiatrist Nidal Malik Hasan shot and killed 13 people at Ft. Hood, Tex. on Nov. 5, 2009. Hasan had exchanged emails with a radical al-Qaida cleric named Anwar al-Awlaki. Awlaki, born in New Mexico, is an example of an American who adopted radical Islamist ideology. Four months earlier, Abdulhakim Mujahid Muhmmad, a convert to Islam, opened fire on a Little Rock Army recruiting office, killing a private and wounding a second. He was sentenced to life in prison in July after pleading guilty in the case. Muhammad spent time in Yemen and claimed to be a part of al-Qaida's franchise there, writing that he committed a "jihadi attack on infidel forces." Evidence showed he also scouted other targets for attack, including a child care center, a Baptist church and Jewish organizations. He even shot at what he thought was the home of a Nashville rabbi. He told police that he was angry at American soldiers, just as he would be at "anyone who was doing this to our religion." Almost two years later, Army Pfc. Naser Abdo was arrested in Killeen, Tex. and charged with possessing an unregistered weapon. Abdo, who had a copy of bomb-making instructions from al-Qaida's magazine, Inspire, told police that "he intended to conduct an attack against Killeen and Ft. Hood." In May 2010, Pakistani American Faisal Shahzad left an explosives-filled Nissan Pathfinder in Times Square and attempted to detonate it remotely. His attempt failed, and a bystander reported the smoking car to the police. The FBI estimated that the bomb, had it detonated properly, could have killed thousands. The al-Qaida-linked Pakistani Taliban was later confirmed to have underwritten the plot. Last fall, sting operations revealed lone wolves were willing and ready to detonate explosives at a military recruiting center in Maryland, near the D.C. Metrorail and at a tree-lighting ceremony in Portland, Ore. Attacks like those both plotted and carried out on Fort Hood underscore Lieberman's remarks that the war on terrorism is a war on a violent "ideology" that can inspire lone actors. But a failed attack on Christmas Day 2009 demonstrated that al-Qaida still has the ability to orchestrate, not just inspire, attacks. Umar Farouk Abdulmutallab attempted to detonate a bomb in a plot designed by the Yemeni-based al-Qaida in the Arabian Peninsula (AQAP) aboard a Detroit airliner. The attack demonstrated what a U.S. government report would later conclude. The 2010 State Department Country Reports on Terrorism found that al-Qaida's core in Pakistan has become weaker, while al-Qaida's franchises, especially AQAP, have grown stronger. 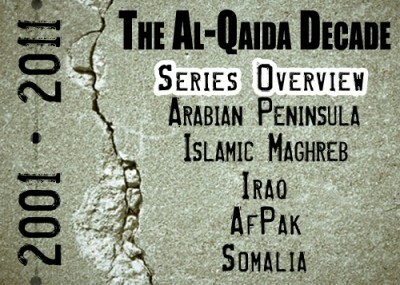 Al-Qaida "remained the preeminent terrorist threat to the United States in 2010," said the report. The group "developed stronger relationships with its affiliates in the Middle East, North Africa…"
AQAP was also behind a 2010 plot targeting cargo flights headed from Yemen to the United States. The Investigative Project on Terrorism will spotlight a different al-Qaida franchise each day this week, chronicling its development and assessing its potential to attack American interests abroad, or to attempt to strike the homeland. Some, like AQAP, are considered capable of launching attacks anywhere. Others are more regionally focused, like al-Qaida in Iraq and al-Qaida in the Islamic Maghreb.